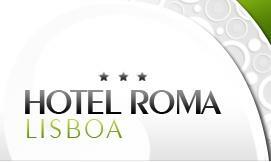 With a privileged location in one of the most high-rated districts of Lisbon - Avenida de Roma, a well known residential and shopping area, the fully renovated Hotel Roma *** is also close to a wide choice of cinemas, theatres and restaurantes. Well served by road public transport and underground (only 10 minutes away from downtown Lisbon). It is also within easy acess to and from Lisbon Airport.